Something that is not widely discussed in the pet world is stress induced seizures. While it is not something that is common, it can happen to any cat or dog. Dogs are more typically prone to this especially in purebreds, but that doesn’t mean it never happens with cats. Knowing how to recognize a stress-induced seizure vs a true medical problem will help you keep your cat happy and healthy. The short answer is obvious; STRESS! While it can take a lot of stress to make this happen, a cat who previously had a medical condition that caused them is more likely to experience them. The chances of it happening are also increased in cats who suffer from separation anxiety or bipolar syndrome. 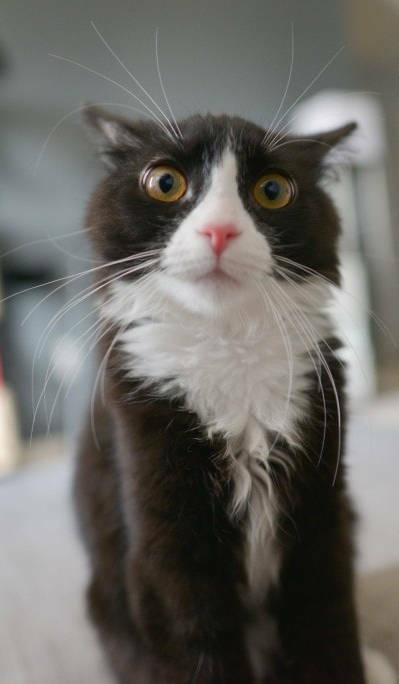 Just like a human experiencing a panic attack under high amounts of stress, a cat can have mild seizures from high amounts of stress or after stressful situations. Things like being yelled at, getting into fights with other cats or animals, or a stressful move can induce them. While they won’t hurt them directly, they can be hurt by accidents. When a cat has a stress seizure, they can easily fall off of a high place, bite their tongue, or get stuck somewhere. This can lead to other issues like head injuries and broken bones. It is important to watch over your cat when this is happening so they do not hurt themselves. Make sure they are on the floor and not biting their tongue. What Does a Stress Seizure Look Like? Typically, the cat will do a bellow or deep meow because they know something isn’t feeling right. They feel scared and are asking for help. This follows the cat either lying down or clasping over. They will tense their legs pretty stiffly and followed by this they usually become unresponsive. They may roll their eyes back, have their mouth open, and tense their neck as well. This usually only lasts 20 seconds to a minute long. As they come out of it, they will look exhausted and this is because they are. Some may go to walk only to lay back down after a few feet. It is very important to provide your cat the opportunity to rest. Make sure they eat and/or drink shortly after this. They may need to rest several hours before they are feeling better so keep things peaceful around them. When to see a Veterinarian If your cat is experiences anything from the above list, it is very important to take them to the vet ASAP. Those are common symptoms of Feline Pancreatitis which has a high fatality rate when left untreated. If your cat appears fine after and you want to make sure, there is no harm in taking them in for a checkup. I do not advise putting them on medication for this. Simply removing the causes of stress will keep this from happening. I have personal experience with one of my cats and it rarely happens but when it does, he is back to normal a few hours later. Medication risks making them worse, causing them to happen more often, or just giving them other general health problems they don’t need. If you have any questions or concerns, leave a comment! Hello, i was wondering if you can help me. I think my cat had a seizure from being exposed to flea treatment about 2/3 months ago, he snapped out of if after about 10 minutes but since then he has been really really anxious, he lives with his sister (both spayed) and sometimes when she walks near him it’s like he doesn’t recognise that she lives here, they sniff each other and he relaxes but any sudden noise he’s so on edge and it’s all been hightened since the flea treatment incident. There also has been the odd occasion he has been spooked wee’d a little and puffed up but he’s managed to come around quite quickly. Is there anything I can do to relax him? I have things like feliway friends plug ins, should i try the classics for example ? Thank you for your reply, i didn’t take him to the vets but at the time of what I called a sezuire I ran the symptoms past a vet and they said to keep an eye on him. He’s an indoor cat. He is very anxious anyway and gets spooked easily it’s just strange that since that one incident it’s he I would say it’s got alot worse, and there has been two occasions where he has wee’d since he first time. I have feliway plug ins already but the ‘friends one as he chases sister sometimes. Not sure if I need the classic one…. Other than the flea treatment there hasn’t been any other changes to his life style. I would say just to keep an eye on him like the vet recommended. Try to make notes of anything that seems to scare him. The feliway spray that comes in the can is what I find most effective. You can use lavender scented cleaners around the home or scented lavender candles as well. This naturally will help to calm him down. Johnson and Johnson makes a baby shampoo/wash called “Bedtime Bath” that is lavender scented. I use this on my cats when they have their seasonal baths but I know a lot of cats do not allow themselves to be bathed. If he has any beds, pillows, or blankets, washing them with this soap can also help to ease some stress. The scent of lavender is very relaxing for humans as well as cats and dogs. Thanks for your comment Marty. I personally feel medication for panic attacks in cats can be more of a danger than a remedy. In order to stop the panic attacks, you have to either remove what is stressing him out completely or expose him to it a bit each day until he realizes it is not a threat and his body acts accordingly. Panic attacks are very treatable without medication but it takes work and time, especially with cats. I would start by finding out what is triggering his attacks and go from there. You may want to get a second opinion from another vet to make sure there isn’t any neurological damage and to make sure these aren’t seizures because of damage. Thank you so much for the reply. I had not read about panic attacks before so that is helpful. I will try your suggestions. Again, many thanks. Seems like your cat’s prob is the same as mine.coz im stress myself thinking why is my cat having seizures whenever we try to put him in his carrier.he will be kicking all his legs front n back,drooling and wetting himself at the same time. The 2nd time he had his seizures when we tried to put him in a basket trolley as we were scared if hes phobia with carrier.after few mins in the trolley he started his seizures again. Im trying to think of an idea to bring him to the vet to sterilise him but then he will have seizures if put in carrier.